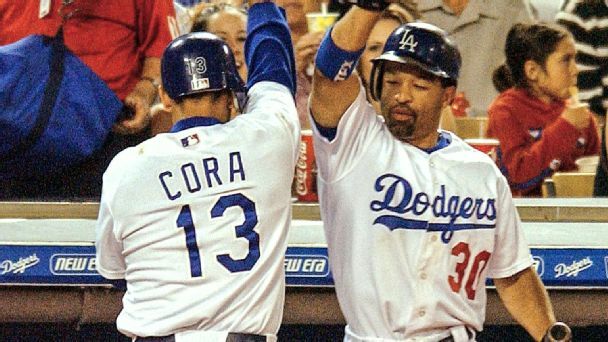 When Alex Cora homered for the Dodgers after an 18-pitch at-bat in 2004, no one was happier than his then-teammate -- and current World Series foe -- Dave Roberts. 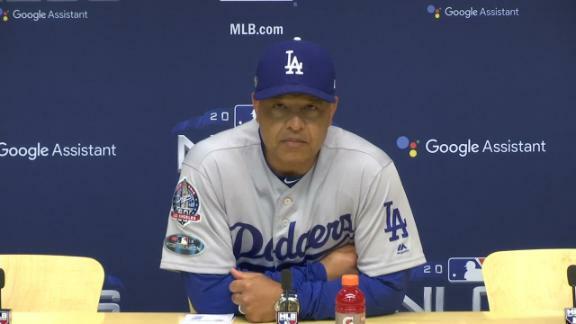 Dodgers manager Dave Roberts reflects on Clayton Kershaw's short-lived appearance and Brandon Woodruff's homer off him. 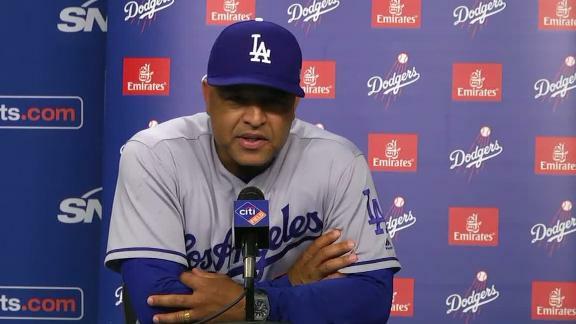 Dave Roberts shares his thoughts about Yu Darvish's first start with the Dodgers and how he settled down once he threw the first pitch. 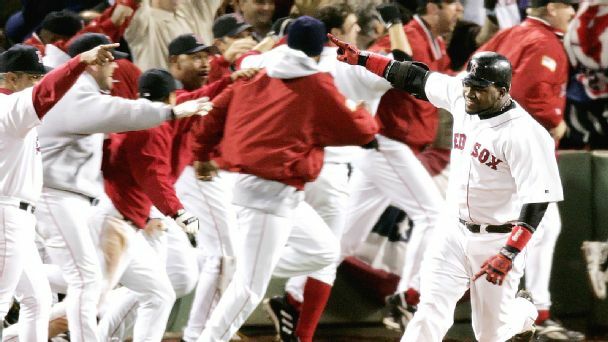 After hundreds of thousands of votes, fans whittled down 32 contenders in ESPN.com's Big Papi Bracket to a single David Ortiz achievement that stands above all the rest. A-Robbed: Does A-Rod deserve a more Papi-like send-off? 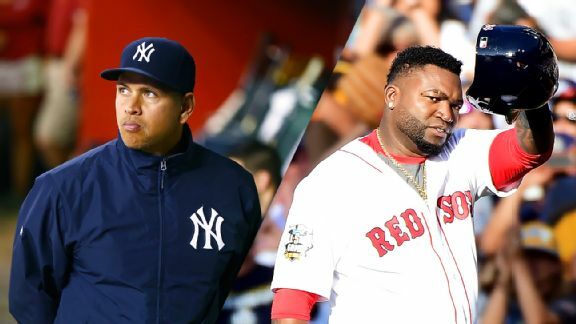 David Ortiz gets a season-long celebration; A-Rod gets less than a week -- and hasn't even played yet. Is the Big Papi hoopla a little much? Is Alex Rodriguez getting disrespected? We discuss. Ramona Shelburne discusses Miesha Tate's upset, D'Angelo Russell's attitude and the pressure Dave Roberts is going to face as the new manager of the Los Angeles Dodgers. 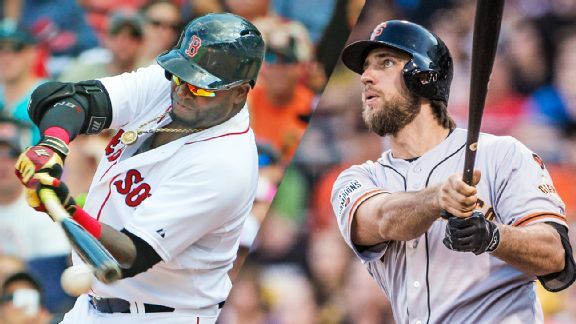 The debate rages: Is the DH destined for the NL? Should it be abolished in the AL? Will it stay status quo? We asked brass from both leagues to tell us what they'd do about the DH rule. 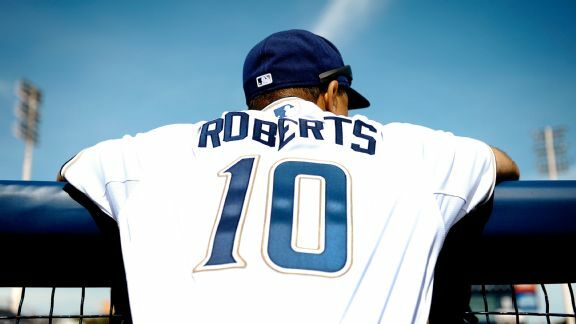 New Dodgers manager Dave Roberts explains how his recent playing experience can help him in his new role and what he wants his first message to his team to be. 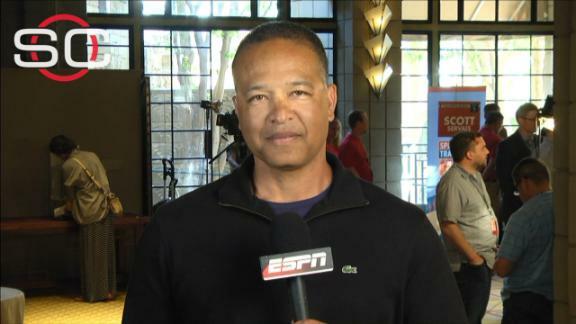 Jerry Crasnick evaluates the Dodgers' decision to name Dave Roberts their next manager. 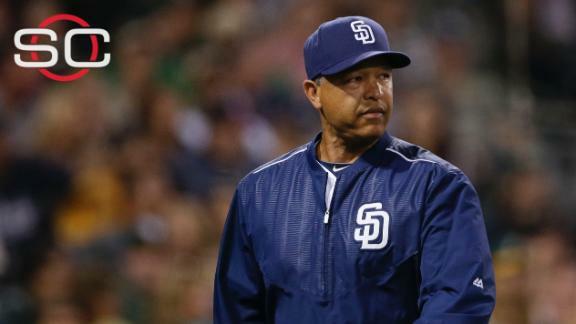 Dave Roberts, best known for a base he nabbed in the 2004 ALCS, has swiped a job the baseball world seemed to think was going to Gabe Kapler.